Coniston Hotel, The Crown Inn is situated in the heart of the English Lake District in the centre of the picturesque village of Coniston, close to all local attractions and shops. Only a short distance from the famous lake which Donald Campbell used for his water speed record with his jet boat Bluebird and only a short distance from the beautiful Tarn Hows. Coniston is the ideal base to visit the tremendous landscape of streams and mountains including the Coniston Old Man and surrounding Lake District, we are also on the path of the Cumbrian Way and welcome all walkers. This is the ideal setting where we can offer warm, comfortable Coniston Hotel accommodation at a reasonable cost in both summer and winter months. We offer warm, comfortable Coniston B&B accommodation at a reasonable cost in summer and winter months, whether you are looking for a relaxing weekend away, a family break or walking holiday, we cater for all needs. 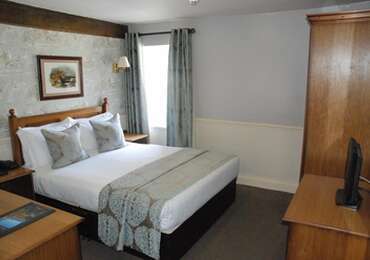 The Crown Inn Coniston B&B has 12 en-suite bedrooms which consist of twins, doubles family rooms and triples. 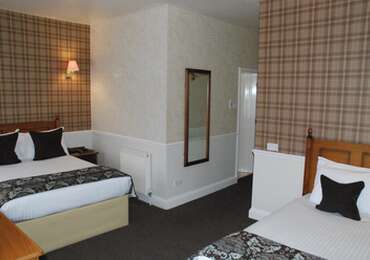 All rooms are centrally heated have high quality mattresses for a good nights sleep. They include televisions, coffee and tea making facilities, hair dryers and direct dial telephones. In the morning Breakfast is served from 8.30-9.30 in our dining room, offering guests the choice of fresh fruit, cereal and juices followed by a choice from our extensive menu varying from a hearty full English to smoked salmon and scrambled egg. The Crown Inn Coniston B&B is also pet friendly, as we have a number of rooms which allow dogs to stay for the small charge of £10 per night. Nearby in centre of village sleeps 8/9, 4 bedrooms, 3 bathrooms, large garden with Hot Tub.